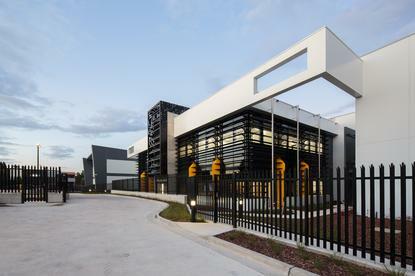 The regions, announced in August last year, are located in two Canberra Data Centres facilities in Fyshwick and Hume. Initially only a “restricted community” of approved critical national infrastructure clients including banks, utilities, telecommunications, healthcare, transport and other sectors will be admitted to the Azure Australia Central regions. “A unique difference of these Azure regions is the capability to locate existing systems, private clouds, specialised networking or safety-critical systems within the same facilities as Azure, and indeed directly connected to Azure. The hybrid flexibility, performance and security this delivers enables the modernisation of even the most complex applications,” the company said. As well as offering direct connectivity within the facilities and direct connectivity over the private Australian Intra Government Communications Network (ICON), Microsoft Azure now offers high-performance, very low latency networking between the two new regions. “Microsoft is deeply committed to Australia and New Zealand and our continued and significant investment in mission critical cloud is testament to that. We expect Azure Australia Central to play a catalysing role in accelerating the transformation of the public sector and through that, enhance the government services millions citizens in both countries utilise every day,” said Steven Worrall, managing director, Microsoft Australia. “Organisations can leverage Azure Australia Central, they benefit from our open approach to computing, and they can use an extensive and growing array of Government-certified Azure services. At the same time, they can co-locate private clouds or other infrastructure right alongside Azure within Canberra Data Centres, with no compromise of trust or performance,” he added. The new Azure regions are intended to serve both Unclassified and Protected data. Australian Signals Directorate ‘Protected’ level certification was awarded to 25 Microsoft Azure cloud services and ten Office 365 services today. The vendor in late 2014 launched its first two Australian Azure regions: Australia East and Australia Southeast. The new regions join Microsoft’s global cloud network announced in 50 locations around the world. Microsoft recently announced two new Azure Government regions in the United States for data classified Secret, the availability of France Azure regions, and the intention to deliver new regions in Switzerland, Germany and the United Arab Emirates. As part of the announcement, Microsoft revealed a list of 47 launch partners, including global systems integrators, local IT service providers, consultancy firms and software vendors. They include SAP, Telstra Health, AXON, DXC, Accenture, Dimension Data, Veritas, Citrix, Leidos, Intelledox, Gravity, GIS People, Ralleo, RedHat, Cloudera and MapR.